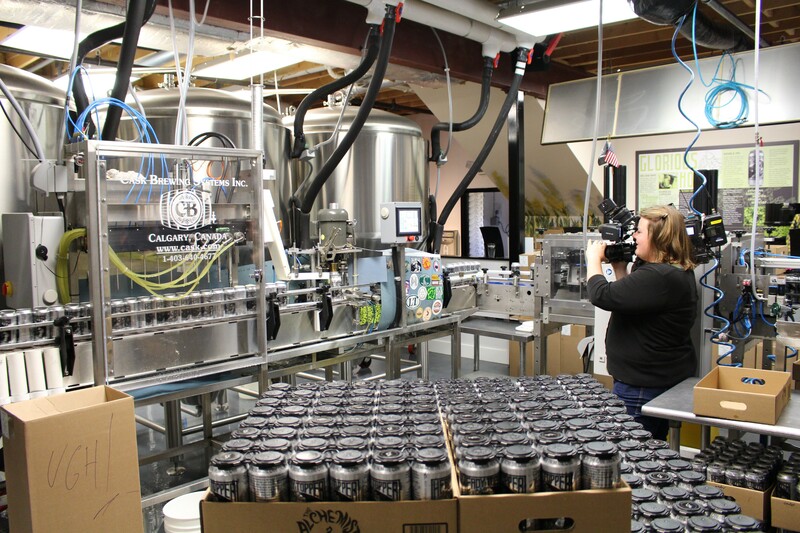 WCAX-TV photographer Robin Beams during a May 2014 press conference at the Alchemist Brewery. Like a bunch of thirtysomething bros from Boston, members of the House General, Housing and Military Affairs Committee will make a pilgrimage to the Alchemist's Waterbury brewery Thursday morning to, um, do work and stuff. 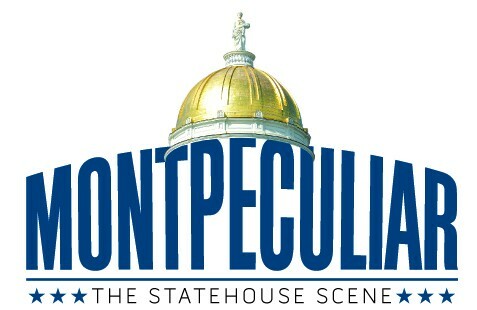 "It's purely educational," insists Rep. Tom Stevens (D-Waterbury), who introduced himself at a Democratic caucus last December as "the representative from Heady Topper." The committee's headed to the land of Heady primarily to tour a 27-unit affordable housing project. It's under construction in Waterbury on the site of a former state building badly damaged by Tropical Storm Irene. Then the eight House members will head north to the Alchemist. "Given the portfolio of our committee and given the fact that we have so many new committee members, seeing this [project] in this stage will help our committee understand the benefits of affordable housing," says Stevens, the committee's vice chair. "Alcohol is also in our portfolio, so we decided we'll kill two birds with one stone and we'll visit the brewery." Housing and alcohol? That's quite a committee! "We do anything from liquor to the lottery, Abenaki relations, elevator safety — you know, general," he explains. "It's a pretty broad purview. It's just an interesting mix." Indeed. Elevator safety is pretty fascinating stuff. It's not the first time House General took a boozy field trip. A few years ago, Stevens says, its members headed up Route 100 to the Trapp Family Lodge Brewery in Stowe. There, they sampled a few of Trapp's finest beverages. Will they do the same at the Alchemist? "You know, you never know," he says. "They're canning that day. It's a little early in the morning for Heady Topper, so I'm not sure. I'm sure some people will want to sample, if it's offered, but I don't know what the legality of their serving beer is." He adds, "Drinking Heady Topper kind of puts a spike in the day a little early." Sadly for thirsty House members, Alchemist co-owner Jen Kimmich says she's all business. "We don’t have any plans to sample beer with our representatives," she says. "Just a quick tour of operations followed by a Q&A." Perhaps they can at least take a few cans for the road.